Here at AC Silver we are thrilled to be able to offer our customers an incredibly rare and intriguing item; a South American sterling silver sidesaddle stirrup! This unique item of Silverware is not only a delightful antiquity, but has kept us entertained as the newest tongue twisting addition to our collection! This piece was created in Latin America, and is typical of the style of Sidesaddle stirrups of this time and provenance. However, what makes this item unusual is the fine level of craftsmanship and the superior material in which it has been made- often these stirrups were fashioned in leather or brass – but we are fortunate enough to have found this exceptional sterling silver example. 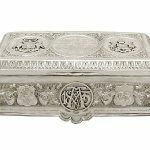 The fragility and value of the sterling silver would go some way to alluding to the affluence of the owner of this piece, let alone that horse riding was exclusively for the upper classes during the nineteenth century. The rarity of this item is not to be underestimated, and this example is especially beautiful for its kind and type. It is a relatively new concept for women to ride astride a horse, with the earliest portrayals of women riding side saddle being discovered on the ceramics of the ancient Greek civilizations. Sidesaddle was considered to be an appropriate method of horse riding for a woman because it was deemed too masculine to sit astride a horse. Alongside the social constructs which informed this idea, the physical difficulty of riding astride a horse with long, full skirts which were common until the early twentieth century meant that women who wished to ride had little choice but to ride side saddle. Horse riding has a rich tradition in many parts of the world, but the regions which are still known for their proud history of equestrian sport are the United Kingdom and the south Americas. These areas continue to cultivate a high concentration of involvement in equestrian sports to this day. Anne of Bohemia (1366–1394) is credited with introducing the first functioning sidesaddle to Europe- which was more akin to a small chair- featuring a footrest. 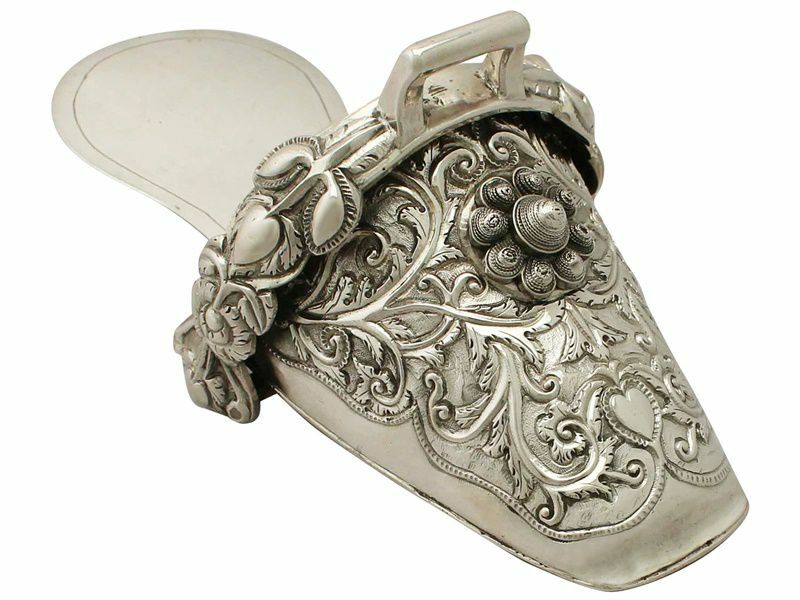 The development of a more practical design is attributed to Catherine de Medici, in this case the footrest was replaced with an open heeled slipper stirrup. This advancement meant that women or those riding side saddle could control the horse they were riding – albeit in a limited capacity – whereas former sidesaddle riders had to rely on a gentleman leading them or controlling their horse on their behalf. 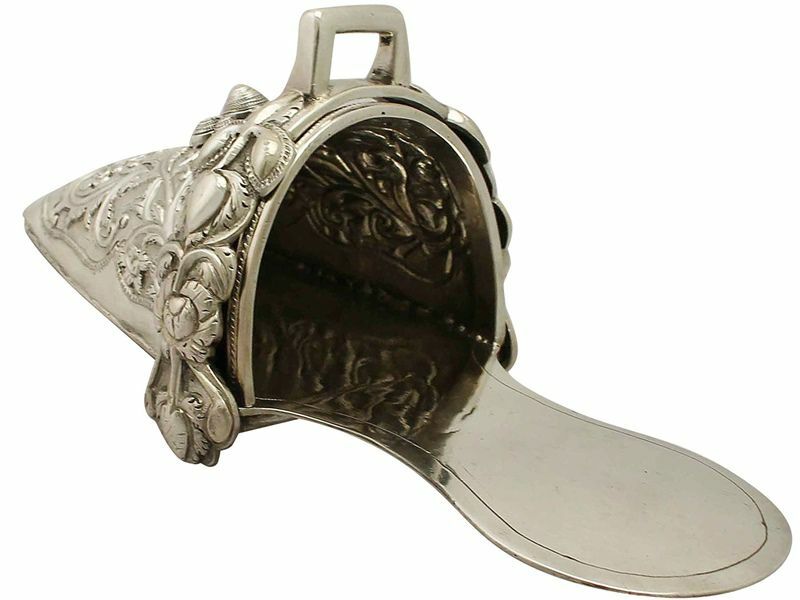 This new style of slipper stirrup increased in popularity within the affluent and upper classes within Europe and America during the eighteenth and nineteenth centuries. 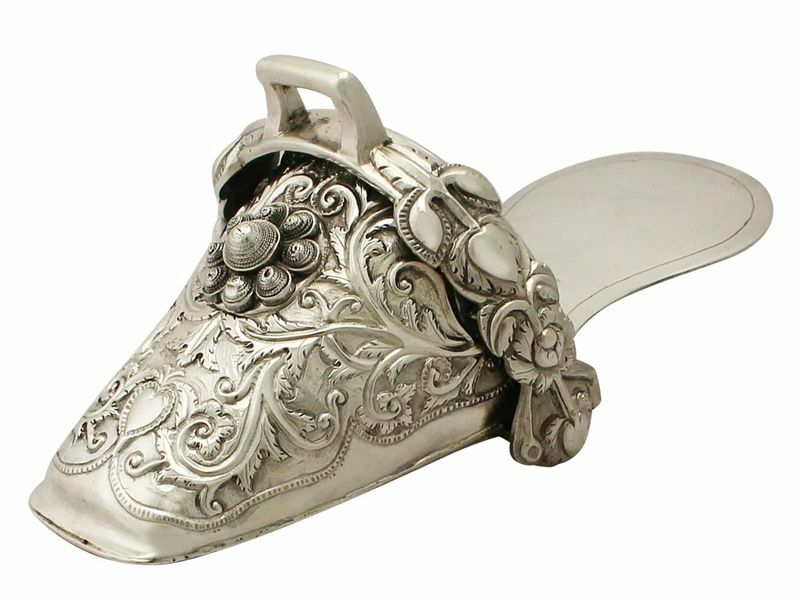 The safety stirrup became more widely used in Europe, however the traditional slipper continued to be used until the late nineteenth century. 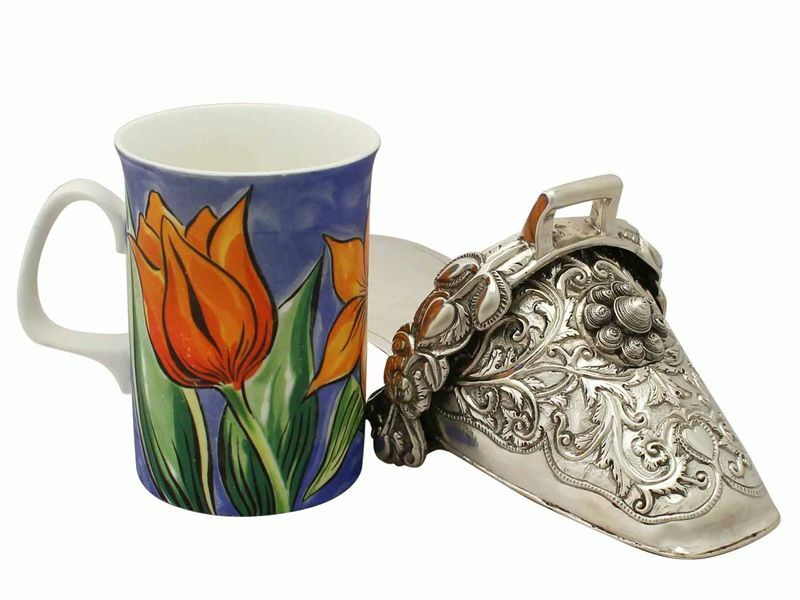 This may explain the reason that of the few surviving slipper stirrups, most are dated from the nineteenth century and were created in South America, where the pageantry of equestrian sports is still celebrated today. 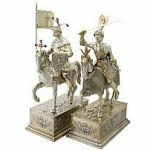 Furthermore, the South American proclivity for ornate decoration may have resulted in a greater likelihood of these items being created in silver and brass, rather than the more simple leather forms. This item is particularly charming due to its small size – which is indicative of the diminutive size of women’s feet- which were also forcibly kept in shoes which were uncomfortably small, as small feet and petite features generally were thought to be an attractive attribute. 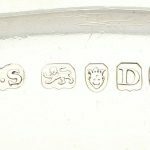 We hope that you are as delighted by this rare and highly collectable piece of silverware as we are, and we have been truly fascinated by the history and past owners of this unusual antiquity. I have a side saddle stirrup with that same design. It dose not have enitials on the bottom unfortunately. 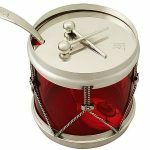 Hi Howard, I bet it is still a fabulous piece !